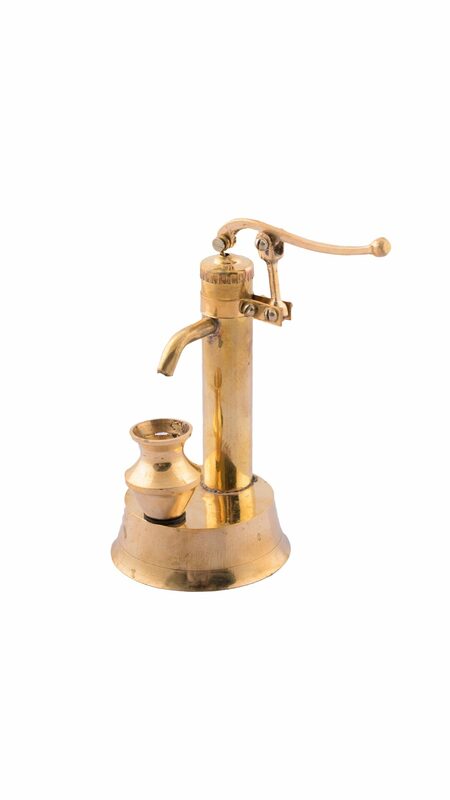 Decorative Hand Pump Made Of Brass Is A Perfect Gift For People Who Love To Collect Small And Antique Articles. Its Versatile Design, Intricate Artistry And Superlative Craftsmanship Makes This Ideal For Your Home And Office Desks. This Brass Showpiece Is Diligently Handcrafted By Skilled Artisans Of ECraftIndia Using Various Traditional Techniques.